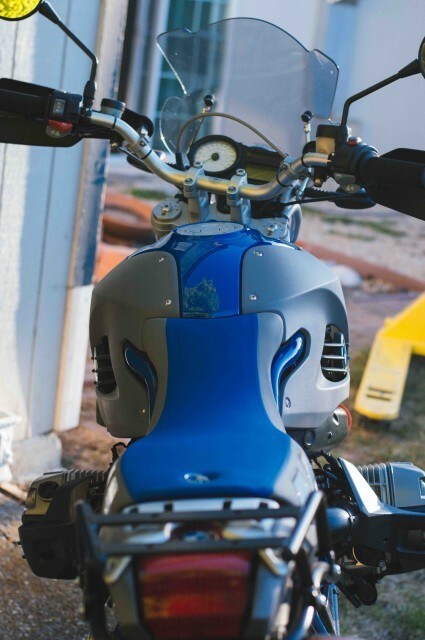 The BMW HP line of motorcycles is a special group of highly engineered machines produced in low numbers. They are rare, exclusive and attract owners as unique as the bikes themselves. I own a 2006 HP2 Enduro. When I ride, I often have other riders come up and ask me what kind of BMW it is. When I meet other owners of the HP2, I can sense the passion and excitement that they have about it. Often times they even own more than one. Why do these people seem to have such an obsession with the HP2? The easiest way I can describe it is that these motorcycles have soul and personality that others don’t. It’s loud, it growls and the bikes are very light & easy to move around. 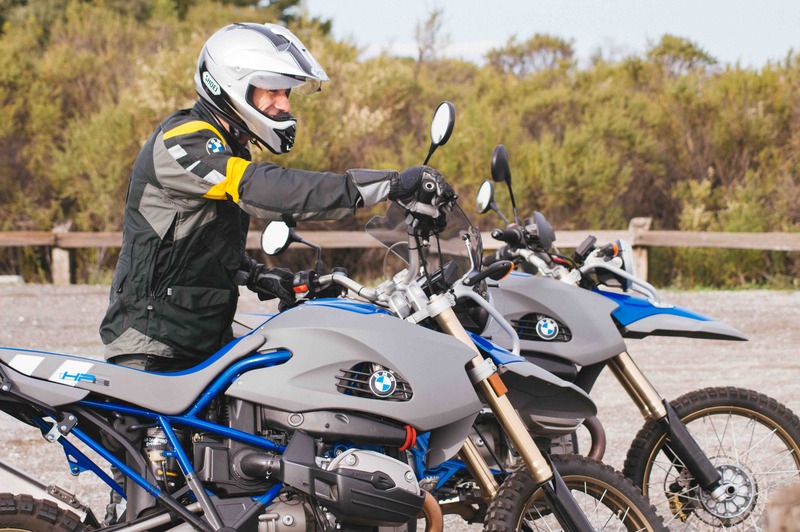 We had the chance to speak with BMW Motorrad Product Manager, Sepp Mächler, to get the backstory on the development, design and even the future of the HP program. Below is our interview with Sepp, in its entirety. We included all of it in hopes that his answers would shed light on questions other enthusiasts may have about the program. 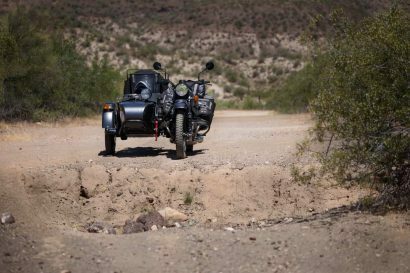 RIDE & WANDER: Where did the inspiration for the overall HP2 program come from? Sepp Mächler: “HP” stands for “High Performance”. This does not only mean high engine output, but also the highest performance of the motorcycle as a whole. HP stands for exclusive products developed for customers who want a motorcycle which is built in exclusive numbers and with high-quality components. HP models often also exclusively feature technical innovations (e.g. DOHC boxer engine with HP2 Sport, DDC with HP4 etc. ), sometimes years before they are available in large series production. The 2 stands for two, the 4 stands for four cylinders. But “HP” stands for a lot more than “only” highly exclusive motorcycles. It also stands for a broad range of HP Performance parts and HP Race parts to further enhance the performance of and to personalize our standard models. These accessories include high-quality lightweight and tuning components made of carbon-fibre, exclusive CNC-milled running gear components, forged wheels, Race Powerkit etc. 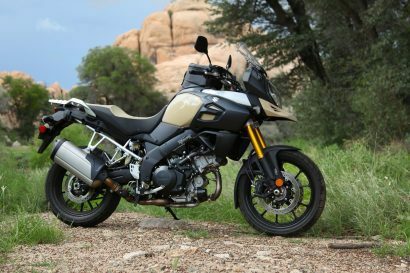 Depending on the components chosen and the overall combination of features, the customer is able to further reduce the overall weight of the motorcycle for even better handling. Beautiful in their design and appearance, BMW Motorrad High Performance Parts and the most sophisticated materials also ensure customisation to the highest standard, making each motorcycle a genuine eye-catcher. It also stands for the BMW Motorrad HP Race Support: A BMW Motorrad expert team that professionally supports customer sport teams around the world on a very flexible basis – from technical advice via HP Race parts to full racing support. The idea of an HP motorcycle had already been haunting enthusiasts for 20 years by the time the first HP model was brought on the way. BMW Motorrad still keeps a few prototypes, some of which were partly of private nature. But only with the (back then) new flat twin generation did BMW Motorrad have the technical basis for manufacturing a truly convincing bike on a production basis. All earlier ideas and attempts had to make too many compromises and were never fully convincing. But then the time had come for such a motorcycle by BMW Motorrad. The first motorcycle of the HP family was the HP2 Enduro (back then only called HP2, 2005-2007). The HP2 (Enduro) was developed by a small but highly dedicated team of specialists, engineers and mechanics fully committed to the Boxer and also dedicated in their private lives to off-road motorsport, working beyond the usual processes of series development under the simple and straightforward motto that “only an enthusiastic professional can offer another enthusiastic professional what he really wants”. 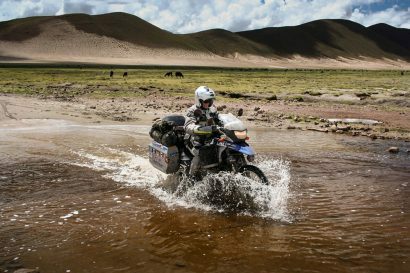 To highlight the sporting enduro qualities of the new HP2 (Enduro), BMW Motorrad supported and managed private racing teams which entered the HP2 (Enduro) in various off-road events around the world. This more or less also counts for all other HP models that followed. Behind every HP motorcycle stands a team of highly professional and passionate experts who are determined to take “their” bike – within its respective segment – to the max. 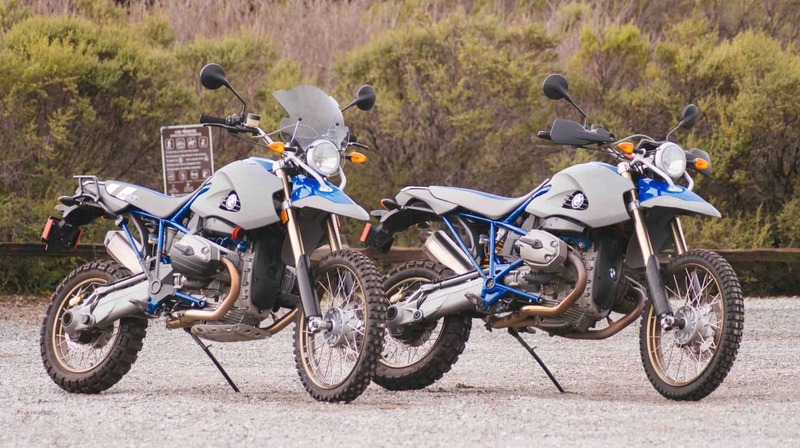 With the HP2 (Enduro) a dream of many Boxer fans came true: BMW Motorrad presented a truly uncompromising, sporting and exceptionally light enduro (>28kg than R 1200 GS MY 2005) – a Boxer built for the off-road enthusiast and the most demanding tracks in the world. Purist, but nevertheless stylish and perfectly equipped with the finest, carefully considered features, the BMW HP2 (Enduro) had everything it takes for unrestricted riding pleasure off the beaten track and was perfect as the “basic” machine for amateur enduro motorsport. 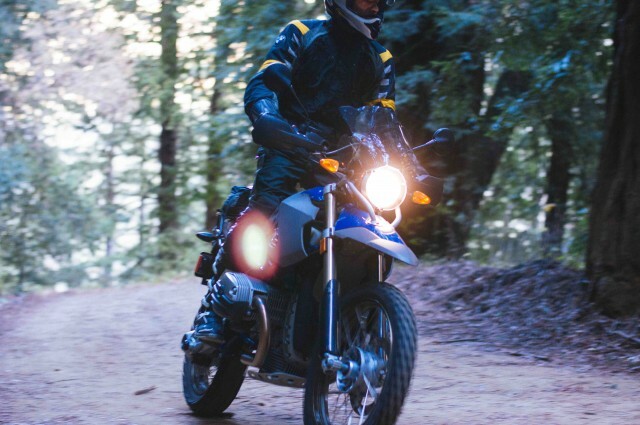 More than any other motorcycle, the HP2 (Enduro) capitalised in full on rough terrain on the benefits of the Boxer concept with its low centre of gravity. But at the same time the HP2 (Enduro), with its almost playful handling, low weight, and high-performance power unit, offered supreme riding pleasure also on the road. So considering the many options it offers the rider, the HP2 (Enduro) was by that time the most powerful and by far the best off-road Boxer of all times. RW: When did the program officially begin? SM: The first motorcycle of the HP family was the HP2 Enduro (back then only called HP2, 2005-2007). The development of the motorcycle took three years. RW: What were the initial goals? What did you hope to accomplish with these bikes? SM: BMW Motorrad – being a premium brand – wanted to top its model line-up with some very exclusive, “high-end premium” models. We also wanted to show the customers, that although we are proud that our best selling models like the R 1200 GS for example cover a broad variety of riding challenges, we are also able to develop motorcycles with a very sharp profile and clear focus on the intended use – making no compromises. 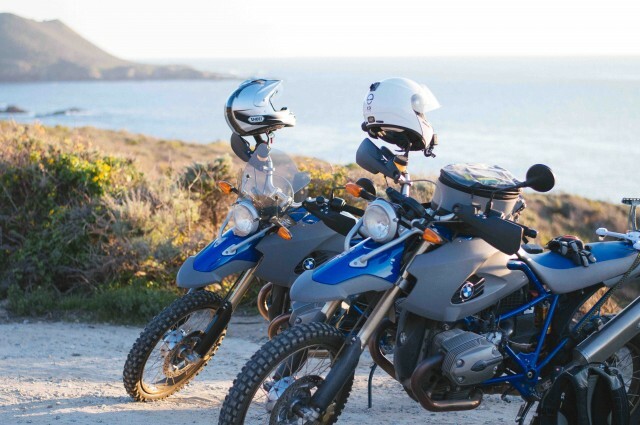 With the HP program, BMW Motorrad offers motorcycles designed and built without compromises for the highest standards of performance, quality, and exclusivity. The High Performance accessories line follows the same principle, enabling the really demanding rider of a BMW motorcycle to enjoy an utmost standard of function with even greater sporting orientation, individual design and optical tuning. With all components being perfectly matched to one another, together with the wide range of fine and well-conceived details, riding pleasure of the highest calibre is guaranteed. BMW High Performance motorcycles are truly outstanding: exclusive and authentic, they will always remain relatively rare. 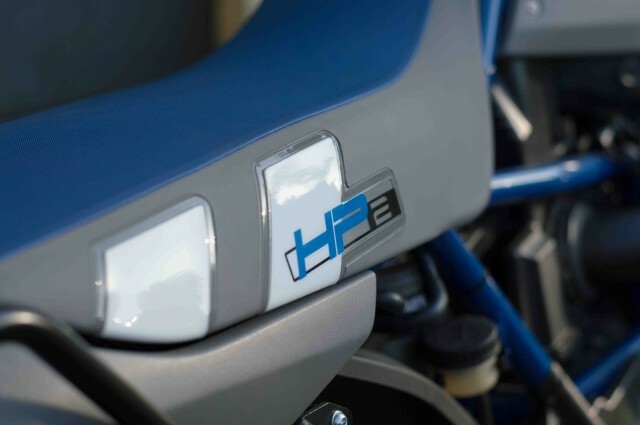 To show its exclusivity, each motorcycle of the HP4 for example is issued with its own HP4 serial number which is engraved indelibly in the upper fork bridge. RW: What was the development process like? How much autonomy did the program have from the rest of the BMW’s production line? SM: The first model – the HP2 Enduro – was developed by a small but highly dedicated team of specialists, engineers and mechanics fully committed to the Boxer and also dedicated in their private lives to off-road motorsport, working beyond the usual processes of series development under the simple and straightforward motto that “only an enthusiastic professional can offer another enthusiastic professional what he really wants”. This also counts for all other HP models that followed. Each HP model is being developed by a highly motivated team, which provides special knowledge of the very niche the model aims at. The development team of the HP2 Enduro for example featured people with good knowledge of and passion for Enduro racing. The HP2 Sport project team consisted of on-road racing enthusiasts and real racers. Each project asks for its own composition of know-how and enthusiasm. All professional knowledge then get´s linked in the project. These specialized, rather small teams do indeed have a certain freedom and don´t always work within the regular development processes. Of course all regular BMW Motorrad testing and safeguarding regulations apply. RW: Were the Enduro, Megamoto, and Sport conceived all at the same time? Or separately? Was it the same team that worked on all three? SM: The HP2 Enduro was the first bike to bring the HP idea to life. And customers loved it! So other teams sat down and thought about other possible variants – but all dedicated to the principle of “High Performance”. RW: What were some of the greatest challenges that the program faced? SM: Because with HP models some development happens offside the regular processes and also because of the extraordinarily high standards each HP product has it´s thrilling fascinating story of it´s own. Special projects like the HP motorcycles demand a certain flexibility regarding development processes – this sometimes becomes a challenge within a larger company. Also the idea of such specialized bikes demands a lot of imagination capabilities on the management side – here solid reasonable argumentation is essential. RW: When did BMW officially end the HP2 program? What were the reasons? And is there any chance they will revive it in the future? SM: BMW Motorrad did not officially end the HP program. It´s true – right now we have no HP model on offer. But never say never…! RW: Hypothetically, if they were to make a fourth HP2 model, what style bike would you like it to be? What Happens When You Press the SOS Button?